Announcement 🌸 Welcome to Sparkling Sisters Jewelry Supplies where you'll find quality jewelry supplies at affordable prices! I hope you find something that makes you smile! ❤ $5 USD Minimum Order Please! I would be extremely grateful if you would please purchase at least $5 before shipping or taxes. It takes time to put an order together, package it, label it, and drive it to the post office. Thank you so much for helping to make my time count and keeping my prices low! ❤ Purchase a minimum of $100 USD and receive a Bulk Order Discount of 15% off your entire order! The code is BULK15OFF. Same instructions as above. USA domestic orders will receive a free upgrade to Priority Mail shipping with Signature Confirmation. International orders will be insured for free. ⭐ Note: Order minimums are before shipping or taxes. Coupon code must be applied in your shopping cart before you checkout. I cannot apply it for you after you have placed your order. I cannot process refunds if you forget. If you have trouble applying the code, please contact me BEFORE you complete your order. Only one coupon code can be used per order. At this time, coupon code discounts are not available for Etsy Studio orders. ❤ Feel free to contact me with any questions through Etsy's Conversations feature (Convo). Just click on the blue CONTACT button. I will respond within 24 hours. ❤ I don't sell partial packages or lots. I have an inventory system that tracks my inventory, listings and sales. I don't sell partial lots so that my inventory system stays accurate and I don't have partial lots left over. Thank you for understanding! ❤ I do my best to provide accurate and honest photos and descriptions. But due to computer and monitor properties, an item's color may not show on screen exactly as it appears in person. Beads may appear larger in the photo due to close up shots. Please note scale image photo and size posted in the listing before buying. Please contact me if you have any questions. All images are owned by Sparkling Sisters Jewelry Supplies. ©2010-2016 All Rights Reserved on photography, images and content. ❤ 8.75% CA sales tax will automatically be added to all orders with a California billing/shipping address. ❤ Etsy automatically collects sales tax for some states based on the state's tax regulations for marketplaces such as Etsy. 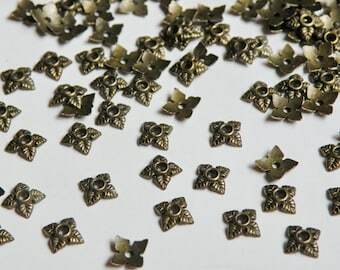 Examples are WA, PA, MN and OK.
🌸 Welcome to Sparkling Sisters Jewelry Supplies where you'll find quality jewelry supplies at affordable prices! I hope you find something that makes you smile! Lovely Beads - Just What I needed - Thank You! The quality of the rondelle wooden beads that just arrived is top notch. I'm excited to bead necklaces! Keep your loved one close to your heart with this beautiful urn pendant. 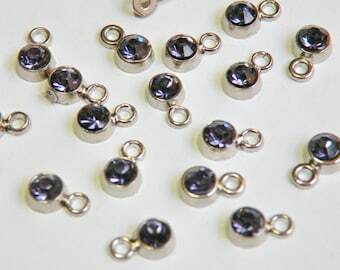 Cremation pendants have a small cavity which can be filled with a tiny bit of ashes, hair, sand, liquid, etc. Several styles available. Sincere condolences on your loss. Living Coral, Pantone's 2019 Color of the Year. Described as "buoyant, vibrant and effervescent," the marine tone is predicted to dominate the design industry over the next several months. Meet Jack! He helps me fill orders every night. So if you find a stray cat hair in your order, it is probably his. This is Kody! He loves it when I use up a roll of scotch tape. He gets the little plastic donut from the middle. The newest member of our crew ... meet Misty Mae! She's never far away from the action. I love all things that Sparkle and Shine! ❤ As a little girl growing up in the Midwest, I loved waking up after an overnight snow storm. I'd peek out the window, the sun would be shining bright, and everything just glistened! The huge oak tree outside my window was decorated with a shimmering blanket of white. I've loved all things sparkly ever since. ❤ I've designed and created hand-crafted jewelry for more than 10 years. I have definitely purchased my share of good and bad products over the years. I keep my inventory fresh and stocked with only great quality products that I can be proud of and you can rely on. ❤ I work hard to make sure every purchase is a good experience for you. I always process and ship orders as soon as possible (usually next day.) And I do it all myself: source supplies, track inventory, maintain my Etsy shops, respond to emails/convos, photography, marketing, fulfill orders, process shipments, post office runs, IT, CEO, CFO, CIO, COO, etc., etc. But worst of all, the dreaded bookkeeping for taxes (YUCK!) It makes for a very busy day and I love it! It's wonderful being home with my fur babies and talking with all of you about beautiful, bright, shiny, sparkling bundles of goodies! ❤ On a personal note, I am a true animal lover! All of my cats have been rescues from my neighborhood. I help maintain the neighborhood feral cat population. I feed them and when I spot a newbie, I trap them and get them fixed. If they're young enough, I try to adopt them out (if I don't keep them myself - UGH!!!). I donate part of my profits every month to the Humane Society and ASPCA. I also donate periodically to my local animal shelter. ❤ So thanks for stopping by! I hope you find something to make you smile! Welcome! My name is Dianne and I am Sparkling Sisters! I know, I know, it says sisters but it's really just me. I am a huge fan of anything that sparkles and glistens! So this is my dream job! ❤ Feel free to contact me with any questions through Etsy's Conversations feature (Convo). This is the best way to contact me and I will respond within 24 hours. ❤ I don't sell partial packages or split lots. I have an inventory system that tracks my inventory, listings and sales. I don't sell partial lots so that my inventory system stays accurate and I don't have partial lots left over. Thank you for understanding! ❤ On the rare occasion that you need a reserved listing, it will only be held for up to one week. After that time, the item(s) will be released for purchase to the general public. I reserve the right to charge up to a 20% restocking fee on cancelled orders or returned items from reserved/custom orders. - Item(s) must be shipped back to me within 14 days of receipt of your order in its complete original, unused condition and in secure packaging. (Earwires MUST be unworn/unused due to hygiene issues. If used, please do not return.) Please use my original packaging, if possible. If items are damaged in shipment due to improper packaging, I cannot refund for the damaged items. - Refund for the item purchase price will be processed once items are received and verified they are in original condition. - All shipping to be paid by the buyer. - Return to the SSJS address on your original shipping label. - I highly recommend that you return the item(s) with USPS Tracking since I cannot provide you with a refund if I don't receive the item(s). Obviously it's not required, just highly recommended. Please provide me with the USPS Tracking number so I can track the item's return. - Etsy does not have a process for exchanges or credits. Please place a new order if you'd like to try a different product and return any unwanted products for a refund. - I reserve the right to charge up to a 20% restocking fee on cancelled orders, late returns, returned items from reserved/custom orders, or orders returned by USPS due to incorrect addresses. ❤ If you receive a package or item that has been damaged in transit, please take a clear photo of the issue and send me an Etsy Convo immediately (or at least within 15 days of receipt of your order.) I will work with you to make your shopping experience here as pleasant as possible. ❤ I am a one woman show and I'm only human. On the rare occasion that I make a mistake on your order, please send me an Etsy Convo immediately (or at least within 7 days of receipt of your order) and send me a clear photo of the issue. I will make it right as quickly as possible. ❤ Most items in my shop are plated metal alloys. They will tarnish over time and the finish will eventually wear. But how long it takes depends on the care they are given. Just like precious metal jewelry, plated products should be kept in air-tight packaging or containers when not being worn to keep tarnish at bay. Occasional, gentle cleaning with a polishing cloth will also help keep tarnish away. I sell polishing cloths and anti-tarnish paper which also helps keep tarnish away! If exposed to damaging elements like water, sweat, lotion, soap, shampoo, perfume, high humidity, hairspray, etc., the plating may turn colors. Plated items are not the same price or quality as sterling silver, gold-filled, or karat gold products. Refunds or exchanges will not be accepted on plated items that have been used, damaged, and/or tarnished, as that is the natural process for plated items. at least $5.00 USD before shipping. Thank you! ❤ Shipping upgrades are offered in your cart BEFORE you click on the green Proceed to Checkout button in case you need faster shipping! Please see more info below in the Shipping section. ❤ PLEASE DOUBLE CHECK YOUR ADDRESS BEFORE YOU CHECKOUT. Your order will be shipped to the address you enter in Etsy. It is very important that your address is accurate and complete so that packages are not returned to me. I'm sure you don't want to pay for shipping twice! ❤ PLEASE BE SURE YOUR ORDER IS CORRECT AND COMPLETE BEFORE YOU CHECKOUT. If you have any questions, please contact me before you complete your order. Please do not submit a second order to try to make any changes. Contact me if you need to add something to your order and I can send you a PayPal invoice. Shipping discounts will not be given if you place more than one order. I don't combine multiple orders in one package. Each purchase is mailed separately with separate tracking numbers. Thanks for understanding! ❤ I accept payment by credit card through Etsy or PayPal. Payment must be made at the time of purchase. ❤ Etsy automatically collects sales tax for some states based on the state's tax regulations for marketplaces such as Etsy. For more information and a list of states included, check out this link. 🔷 All USA orders over $100 USD will be upgraded to Priority Mail shipping with Signature Confirmation and will need a signature in order to be delivered. This is additional security for both buyer and seller! 🔷 Customers outside USA - PLEASE NOTE: Import custom, duty, GST and/or VAT fees are NOT included in the item price or shipping fee. The buyer is responsible to pay these additional fees to their country's customs office/postal office upon delivery. Etsy may add the GST fees to your order automatically. If so, Etsy is responsible for collecting and remitting those GST fees to your country's customs office. See more info below in the INTERNATIONAL SHIPPING! section. ❤ My shipping fees are based on the weight and bulk of each item. The shipping fee pays for not only the postage on your package, but also packaging (bubble mailer envelope, bubble wrap, tape, plastic baggies, shipping labels, etc.) and gas to the Post Office. I also have to pay credit processing fees, state taxes, and federal taxes on those fees. I do not refund any portion of the shipping fee if the actual cost of postage is less than the amount collected. I also don't charge you additional fees if the actual cost is more. ❤ I process orders every night and almost always ship the next business day after payment is received. But I am a one woman show and every once in a while I may need a little time off. So please allow up to 2 business days for your order to be processed and shipped. ❤ US orders are shipped USPS First Class Mail in a bubble padded envelope. Domestic First Class Mail usually takes 2-5 days. I provide a tracking number so you can track your package's progress. While the vast majority of my packages take less than 5 days for delivery, please allow up to 2 weeks for delivery due to unexpected USPS delays. ❤ If you need faster shipping to a USA address, you can choose a Priority or Express upgrade in your cart. Look on the right side of your cart BEFORE you click on the green Proceed to Checkout button! Priority normally takes 2-3 days for delivery but is not guaranteed. Express normally takes 1-2 days for delivery and is guaranteed delivery in at least 2 days or you get your upgrade fee back. Delays can be expected during bad weather or peak shipping seasons. Processing times will still be 1-2 business days. I do not provide same day rush order processing. ❤ I re-use packing supplies as much as possible to save costs and the environment. I also combine multiple quantities of the same item in the same package when possible. - Orders are shipped USPS International First Class Mail in a bubble padded envelope. Delivery tracking is available for a few countries. See the list below. - If you do not live in one of those countries, in order to receive a tracking number, you will need to upgrade your shipping to USPS International Priority Express Mail which is rather expensive. Please contact me for pricing PRIOR to placing your order. - I will not label your package as “gift” or alter the product value on the Customs Form as that is illegal. I have to list the value of the products you purchase only. Shipping is not declared on the US customs form. - Import custom, duty, GST and/or VAT fees are not included in my item price or shipping fee. The buyer is responsible to pay these additional fees to their country's customs office/postal office upon delivery. Etsy may add the GST or VAT fees to your order automatically. If so, Etsy is responsible for collecting and remitting those fees to your country's customs office. SSJS is not involved in that process. - While most international packages take around 1-2 weeks for delivery, please allow up to 4-6 weeks for delivery, as it is completely dependent on the time it takes to clear customs and the speed of the various international postal services. Some countries such as Italy, Russia, Spain, Brazil and other South American countries, and Middle Eastern countries may take up to 8 weeks. - If you need faster shipping, you can choose a Priority shipping upgrade during checkout. USPS states it normally takes 6-10 days for delivery, however that cannot be guaranteed due to the reasons stated above. ❤ I recommend purchasing upgraded Priority Express International shipping with tracking if your location has a history of poor postal service. Those upgraded fees are not included in the posted shipping fees. - Priority Express International shipping starts at $47 for up to 4 pounds in a padded envelope. - Please contact me PRIOR to purchase and I will be happy to set up a reserved listing with the upgraded shipping fees. ❤ While I will do everything in my power to make sure your order reaches you safely and in a timely manner, it is also dependent upon the USPS and the various international postal services. If a package is delayed or missing, please let me know and I will work with you to try and locate the package. Lost packages take time to locate so please be patient as we work through the process with the USPS and your local post offices. If not located, or a package is damaged in shipment, I will work with you to make your shopping experience here as pleasant as possible. ❤ Supplies listed in this shop are not intended for use by or in products for young children. ❤ I do my best to provide accurate and honest photos and descriptions. But due to computer and monitor properties, an item's color may not show on screen exactly as it appears in person. Beads may appear larger in the photo due to close up shots. Please note size & scale image before buying. Please contact me prior to purchase if you have any questions. All images are owned by Sparkling Sisters Jewelry Supplies. ©2010-2019. All Rights Reserved on photography, images and content. ❤ Purchase a minimum of $100 and receive a Bulk Order Discount of 15% off your entire order! Apply code BULK15OFF. Same instructions as above. USA domestic orders will receive a free upgrade to Priority Mail shipping with Signature Confirmation. International orders will be insured for free. Note: Order minimums are before shipping or taxes. Coupon code must be applied in your shopping cart before you checkout. I cannot apply it for you after you have placed your order. Why are you requesting a $5 minimum purchase? ❤ It takes time to put an order together, package it, label it, and drive it to the post office. I would be extremely grateful if you would please purchase at least $5 before shipping or taxes. It’s not mandatory, but it helps to make my time count and therefore keeps my prices as low as possible! Thank you so much! ❤ All orders are shipped by USPS. Delivery time all depends on where you live. In the USA, it normally takes 2-3 days if you live in the west and 3-5 days if you live in the east. I usually ship the day after I receive your order. Delays can be expected during bad weather or peak shipping seasons. ❤ If you live outside the USA, packages usually take around 1-2 weeks for delivery. But please allow up to 4-6 weeks for delivery of international packages, as it is completely dependent on the time it takes to clear customs and the speed of the various international postal services. Some countries such as Brazil, Italy, Russia, and Spain may take up to 8 weeks. I need my order as quickly as possible. Do you offer shipping upgrades? ❤ YES! You have the option to choose a Priority or Express upgrade in your cart. Look on the right side of your cart BEFORE you click on the green Proceed to Checkout button! Priority normally takes 2-3 days for delivery. Express normally takes 1-2 days for delivery. Delays can be expected during bad weather or peak shipping seasons. ❤ International customers can upgrade to Priority shipping. Look on the right side of your cart BEFORE you click on the green Proceed to Checkout button! Shipping time for most countries is usually 6-10 business days but can take longer due to customs and the speed of the various international postal services. Processing time is usually 1 business day for upgrades. Why are shipping fees so expensive for international orders? ❤ Unfortunately that's what I need to charge to cover the costs of shipping. The US Postal Service increased international shipping rates considerably in January. It almost doubled for some countries. PLEASE NOTE: Import custom, duty, GST and/or VAT fees are NOT included in the item price or shipping fee. The buyer is responsible to pay these additional fees to their country's customs office/postal office upon delivery. Etsy may add the GST fees to your order automatically. If so, Etsy is responsible for collecting and remitting those GST fees to your country's customs office. I don’t need that many. Can I order less or mix colors? ❤ I’m so sorry but I don't sell partial packages or split lots. I have an inventory system that tracks my inventory, listings and sales. I don't sell partial lots so that my inventory system stays accurate and I don't have partial lots left over that I can’t sell. Thank you for understanding! I forgot something and want to add it to my order. What should I do? Please do not submit a second order. Shipping discounts will not be given if you place more than one order. I don't combine multiple orders in one package. Each purchase is mailed separately with separate tracking numbers. Instead, please contact me right away via an Etsy Convo. Send me your PayPal email address, the item you want, and the quantity. I will send you a PayPal invoice for the additional items with a reduced/combined shipping fee. ❤ Most items in my shop are plated metal alloys. They will tarnish over time and the finish will eventually wear. It all depends on the care they are given. Just like precious metal jewelry, plated products should be kept in air-tight packaging or containers to keep tarnish at bay. Occasional, gentle cleaning with a polishing cloth will also help keep tarnish away. I sell polishing cloths and anti-tarnish paper which also helps keep tarnish away! ❤ If exposed to damaging elements like water, sweat, lotion, soap, shampoo, perfume, hairspray, etc., the plating may turn colors. Refunds will not be given on plated items that have have been used, damaged, and/or tarnished over time, as that is the natural process for plated items. ♥ Items must be shipped back within 14 days of receipt in its original, unused condition and in secure packaging. Please use my original packaging, if possible. If items are damaged in shipment due to improper packaging, I cannot refund. ♥ Refund for item purchase price will be processed once items are received and verified in original condition. ♥ All shipping to be paid by buyer. ♥ Return to the SSJS address on your original shipping label. ♥ I highly recommend you return the item(s) with Delivery Confirmation since I cannot provide you with a refund if I don't receive the items. ♥ See Policy Page for full policy.